Space Mountain is the name of a space-themed indoor roller coaster attraction located at five of the six Magic Kingdom-style Disney Parks. Although all five versions of the attraction are different in nature, all have a similar domed exterior façade that is a landmark for the respective park. The original Space Mountain coaster opened in 1975 at Walt Disney World Resort in Florida. 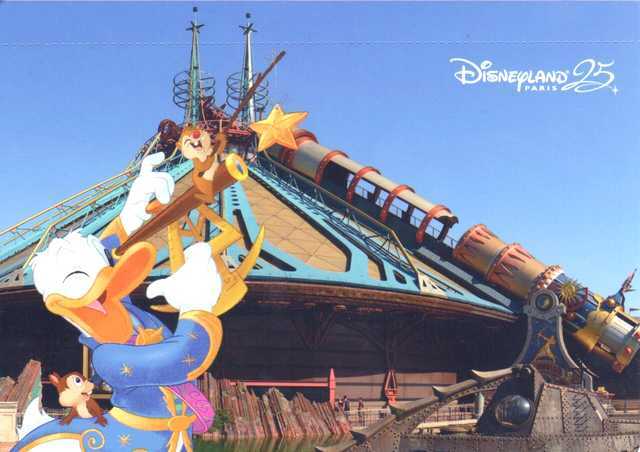 Other versions of the attraction were built at the other Disney parks (all except for Shanghai Disneyland Park).